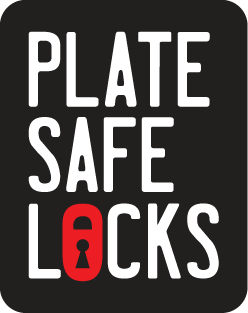 Today I'm proud to announce the launch of our latest new branding and website, PlateSafe Locks, a new security device created by one of our favorite clients, Shawn Mahaney of RestoreATag. Shawn, literally the world's best antique license plate restorer, developed these U.S. patented, tamper-resistant locks to address the growing problem of license plate theft, which has risen by an astounding 36 percent in the United States. 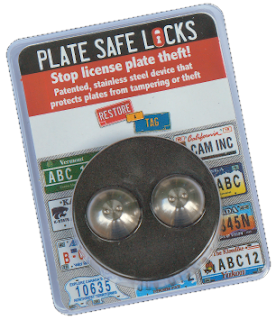 PlateSafe Locks can be used on any vehicle, including antiques. They are also useful around the home, at work, or in any commercial application where items are secured by mounting screws or bolts. PlateSafe Locks are sold online at www.platesafelocks.com and www.sears.com and will be available in other retail outlets soon. Shawn has made RestoreATag such a tremendous success. I look forward to seeing his PlateSafe Locks in auto parts and home improvement stores across the country. Congratulations, Shawn, and thanks for your business!